Net Vision Consultants, Inc. is a Veteran WOSB (Woman-Owned Small Business) providing services to the Department of Defense, Intelligence Community and Military Services. We provide consulting services in Network Analysis and Engineering in an effort to better protect and defend National Security and associated missions. It is our mission to provide our clients within the US Department of Defense with extraordinary network analysis results and increased customer satisfaction while addressing and achieving their organizational and strategic goals. 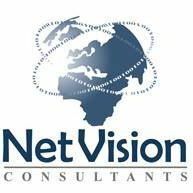 Net Vision Consultants strives to be the most valued network analysis and engineering consultants to our customers and business colleagues while enabling employee growth and satisfaction. We protect and propel our clients' interests by adhering to the highest standards. Our ethical standards are highlighted through our dedication, commitment, and perseverance to providing the best analysis and engineering services possible. At Net Vision, our Analysts and Engineers are hired based on their highly technical backgrounds and organizational tacit knowledge. We ensure our employees remain at the forefront of technology by constantly providing updated training and certification. While much of our training and certification is proprietary, we also rely on industry standards to ensure we remain compliant with organizational requirements. Part of our goal is to remain the small business of choice for not only our customers, but also for our employees. We are a results driven solution provider focused on mission aspects of Computer Network Operations (CNO) - to include Computer Network Attack (CNA), Defense (CND), and Exploitation (CNE). Our employees provide the highest level of dedicated effort in order to exceed our customers' expectations.